The Trump Administration announced a new round of economic sanctions against terror groups in the Middle East on Wednesday, including Harakat as-Sabirin li-Nasran Filastin (The Movement of the Patient Ones for the Liberation of Palestine). 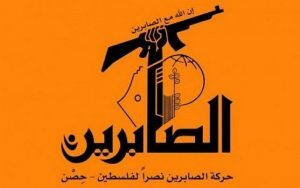 As-Sabirin is an Iranian-funded splinter Shia jihadist faction that has operated in Gaza since as early as 2014. The sanctions are the latest indication that Washington is serious about going after various terror groups in the Gaza Strip. As-Sabirin is a unique organization in Gaza in that it is overtly Shiite. The group’s leader, Hisham Salem, reportedly converted to Shiism and has instructed his followers to proselytize in the predominantly Sunni coastal enclave. Salem is a former commander in Palestinian Islamic Jihad (PIJ), another beneficiary of Iranian funds. Salem broke with PIJ with the support of Iran after Tehran had a falling out with both Hamas and PIJ as a result of the Syrian civil war. As-Sabirin first appeared in Gaza in 2014 when one of its fighters died in a mysterious explosion at a weapons production facility. Since then, as-Sabirin has attempted to establish a presence in the West Bank and launch attacks into Israel. The State Department designation says as-Sabirin fired rockets into Israel in Sept. 2015 and detonated an explosive device that targeted the IDF in Dec. 2015. In Jan. 2016, Salem announced that as-Sabirin formed cells in the West Bank, and one month later the Palestinian Authority arrested a five-man cell in Bethlehem. Salem’s Gaza home was also targeted in a bomb attack that year. He has been the subject of repeated assassination attempts. As-Sabirin receives approximately $10 million a year in assistance from Iran. The group was spawned by Iran as a counterpoint to Hamas at a time when Tehran and the dominant Gaza terror faction were feuding. In recent years, however, relations between Iran and Hamas have improved, with some Hamas officials remarking that Iranian assistance is at pre-fallout levels. Regardless, today’s designation makes it clear that the US government still sees a significant relationship between Iran and as-Sabirin, and that it is serious about breaking up that alliance. Grant Rumley is a research fellow at the Foundation for Defense of Democracies. excellent piece, thanks! I just read about that outfit and its founder on the Washington Free Beacon and this here is much better written. I would be interested in more analysis what the future of shiism in “Palestine” might be. Once Hamas turns into ISIS 3.0, the world will understand when Israel finally says ‘NO MORE’.